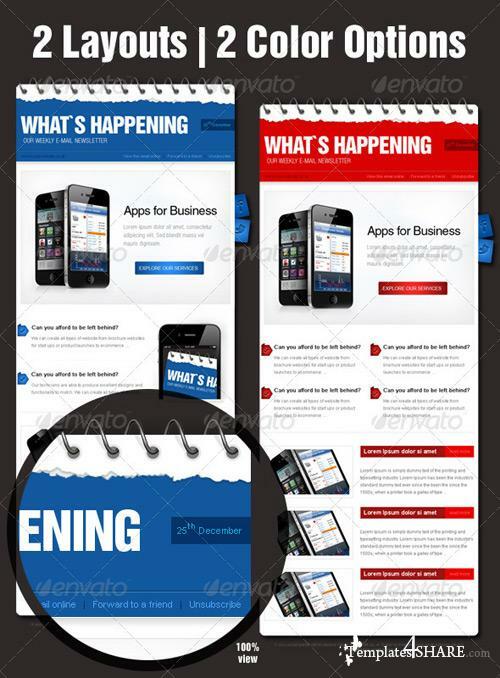 Professional and customizable email template design for your Business. Fully layered .psd file. Easy to customize :colors, sets of news. Proffesional and clean style. Made in 2 color versions and in 2 layout options. Perfect for business use like mobile apps but not only. Easy to code, dedicates to table or div coding. All layers are fully editable and organized in groups. All you need to do is just change text and pictures.